During the 1990s, internet speed was limited to 56kb/s. Back then, you would have spent 3 to 5 days to download a low-quality movie [700MB] when it now takes in average 350 seconds. We share more and more data throughout the world. In 2000, 20% of the data available on Earth was digital. In 2018, 90% of the global data has been produced online during the previous 24 months. Cloud computing, advanced connectivity, teleworking, high bandwidth, e-learning, downloads, streaming, web TV, 3D content delivery… the need for broadband connectivity is increasing worldwide and everywhere. 50% of the world population will have access to broadband internet by 2030. We need appropriate infrastructures to cope with such demand, and the movement is not pulling back. We are so used to WiFi, LiFi, IoT, and other dematerialized data transmission that we often forget 99% of intercontinental communications are due to 930,000 km of submarine cables (for 1% to satellite transmission). The story is not new. 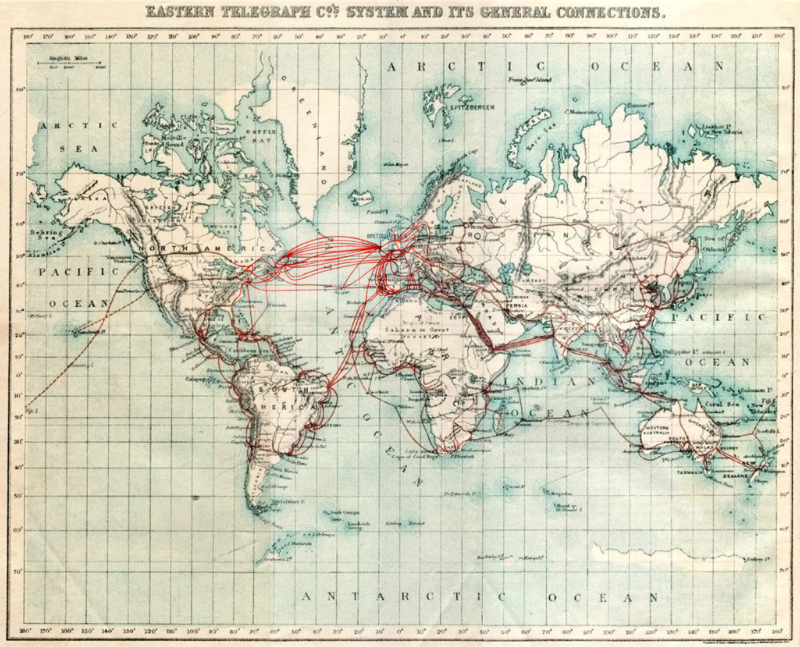 Information and Communication Technologies (ICT) and modern globalization emerged under the sea during the 19th-century when the first telegraph cables became operational across the Atlantic, quickly followed by the Indian Ocean and the Pacific. Queen Victoria of England and James Buchanan, President of the United States, had the honor to be the first to converse across the Atlantic in 1858: “May the Atlantic telegraph, under the blessing of Heaven, prove to be a bond of perpetual peace and friendship between the kindred nations, and an instrument destined by Divine Providence to diffuse religion, civilization, liberty, and law throughout the world.” It took 1 hour and 7 minutes to transmit a 100-word message. 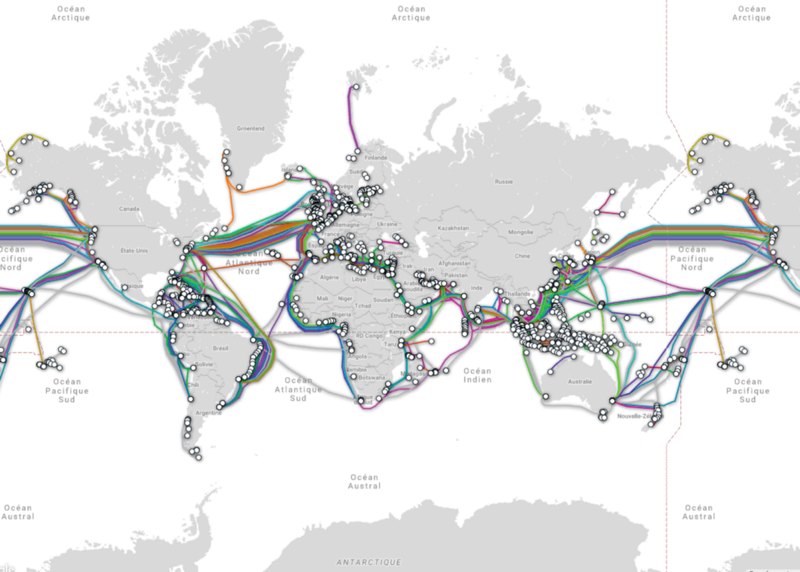 Nowadays, LOLcat videos and adult content are rather more spreading throughout the world than civilization or liberty, but if you compare the maps, you will see that fiber optic cables are positioned in an extended continuity with the telegraph cables. For those who remember the internet in the 1980s and the 1990s, the worldwide data communication used to spread through dial-up phone lines. The Digital Subscriber Line (DSL) was introduced at the beginning of the 2000s, and Satellite Internet started to develop. 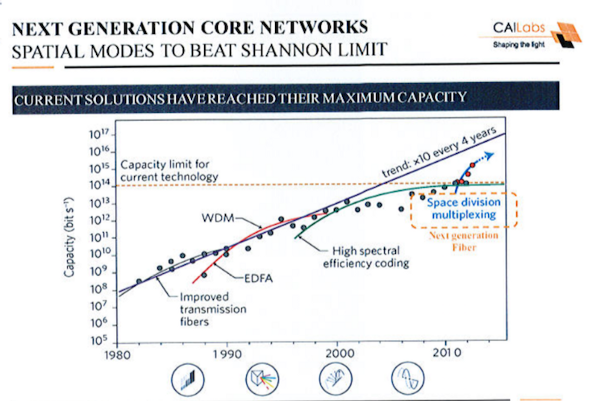 Then came the fiber optic Internet access in the 2010s. It changed our lives. An optical fiber is a glass strand that uses laser light pulses to transmit signals over distances up to hundreds of kilometers. The optical fiber is impervious to electromagnetic interference, requires less signal boosting and has a much higher capacity (up to 40 gigabits per second) than copper wires transmitting electrical signals. However, fiber is costly to deploy. 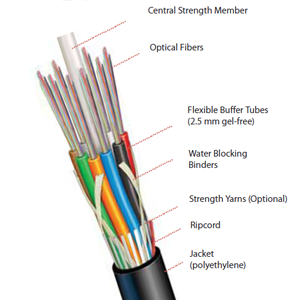 Optical cables are used extensively in the backhaul and core networks of the internet (i.e. the networks that connect local providers to each other). Next Generation Access (NGA) networks are based on fiber-optic technologies that provide radically improved quality regarding high-speed broadband Internet access. Given their generic all-IP technology and enormous bandwidth capacities, these new internet access networks represent a general-purpose technology and are expected to induce significant productivity improvements and growth across major economic sectors. Across OECD countries, investment in telecommunications infrastructure fell significantly with the advent of the financial crisis, declining from a high of US$209 billion in 2008 to approximately US$180 to 190 billion annually in the three subsequent years. Meanwhile, according to Arbor Networks, if there were 1.3 bn connected objects in 2016, there will be between 8 bn and 20.4 bn in 2020. Mobile phone subscriptions continue to grow in numbers whilst applications and other services consume more data. The Internet of Things promises to vastly increase the number of devices communicating via Internet (to an estimated 26 bn devices worldwide by 2020) and hence the amount of data transmitted and the number of broadband connections. The expected growth in Cloud-based services — whereby data and applications are stored on the internet — will also create higher demand for bandwidth, especially in combination with Big Data applications that capture and process vast quantities of data derived from everyday activities. End users are increasingly expecting fast access to traditional internet activities. For example, 36% of UK consumers who shop online will head elsewhere if an online shopping site does not load in 2 to 3 seconds. Advanced internet-based applications (e.g., telemedicine) can deliver future benefits but will require low latency (delays in delivery) and high quality of service. The optic fiber is the cornerstone of this overconsumption. IBM CEO Ginni Rometty says 80% of the world’s data is where the “real gold” is. The crux is the property of the wires. Whereas the economic importance of new internet access infrastructure is widely recognized, there are various approaches to promoting the deployment of NGA networks via competition, sector-specific regulation, and public subsidies. Currently, the European Union regulatory framework imposes rather comprehensive and strict access obligations on incumbent operators compared to jurisdictions in the U.S.A. or leading East-Asian fiber nations (Japan, Korea, and Taiwan). Furthermore, the European Union’s access obligations cover not only legacy (copper-based), but also NGA (fiber-based) infrastructures. The business war has been won so far by telecommunication operators.However, the rise of technology companies like Google, Apple, Microsoft, or Facebook disputes this monopolistic position. They don’t strictly invest in software anymore. Hardware is their new dare. “One of the biggest challenges is that people are still using 20th-century technology in a 21st-century world,” underlines Harriet Green, IBM General Manager. If the web is becoming a “trinet,” owned by Facebook, Google, and Amazon, what about the hardware supporting physical internet? The cables used to be the property of classical telecom operators, but now GAFA launch their own infrastructure. Faster, Junior, Monet, Pacific Light Cable Network (PLCN), Southeast Asia Japan Cable (SJC), Tannat, Unity, Asia Pacific Gateway (APG), Marea, AEConnect, Hibernia Express, New Cross Pacific (NCP) Cable System, Hawaiki, and now Jupiter, about to be launched on 2020, are marine cables owned by Google, Facebook, Softbank, Amazon, or Microsoft. The optic fiber has not yet been exploited up to its full potential. The most innovative recent hardware breakthrough does not just increase the power, it reshapes it. The French physicist Jean-François Morizurrevolutionized the conception of light: its power, shape, and speed are correlated. The Multi-Plane Light Conversion (MPLC), a technology he developed in the scale-up CAILabs, empowers the light signal by the distortion of its shape. It multiplies by 400 the internet speed everywhere, on existing networks. CAILabs was even able to bring full power internet connection on the top of an Alps glacier! The Multi-Plane Light Conversion empowers the light signal by the distortion of its shape. Each technology has faced the limits of its asymptotic development. The cost of a new cable is highly prohibitive, and many developing areas remain underequipped. The MPLC enables to empower existing cables and to reduce maintenance cost. It will be the unique technology able to address the future needs of the uncontrollable evolution of connectivity towards cloud computing, big data analytics, and the internet of things. If you believe in the future, you should not be afraid to put your money where your mouth is: invest in science.